Everything about this beauty is designed with extended voyages in mind, including its outstanding ride and sea-keeping abilities, open and airy cabin, and two well-appointed staterooms. While the captain takes command at the helm, guests will enjoy breathtaking views from the generous bridge seating. 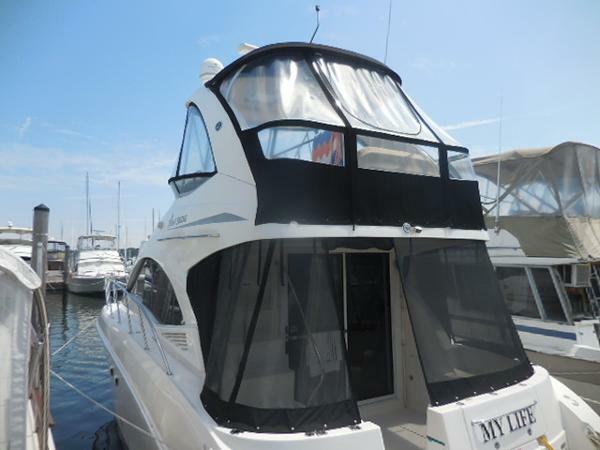 In comfort as well as style, the 36 Sedan Bridge will transport you to distant harbors and back again. 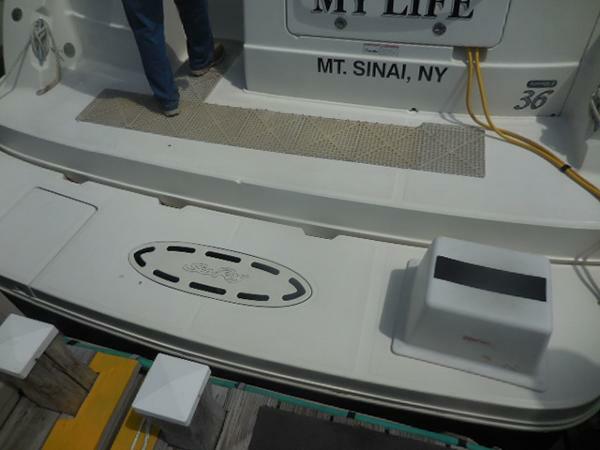 This boat has been extremely well maintained and it shows throughout the boat. There is very low hours on the fresh water cooled engines at 180. The aft cockpit as a fully enclosed screened enclosure. The cockpit carpet has not been used. Here is a list of the items on the boat. All new exhaust with a custom fresh water flush for the system. 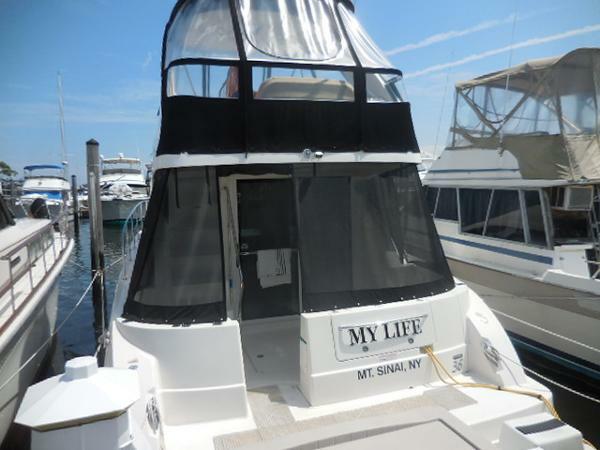 Custom bridge table Extended swim platform Back up camera Fishfinder Satelite TV Custom winter canvas, no shrink wrapping needed the out side seat and port side couch is stored at his house Call now to make an appointment to see this outstanding 36 Sedan bridge . The boat is off site.